Description Pencil drawing by Theresa Truchot. Parchment paper mounted on bond. 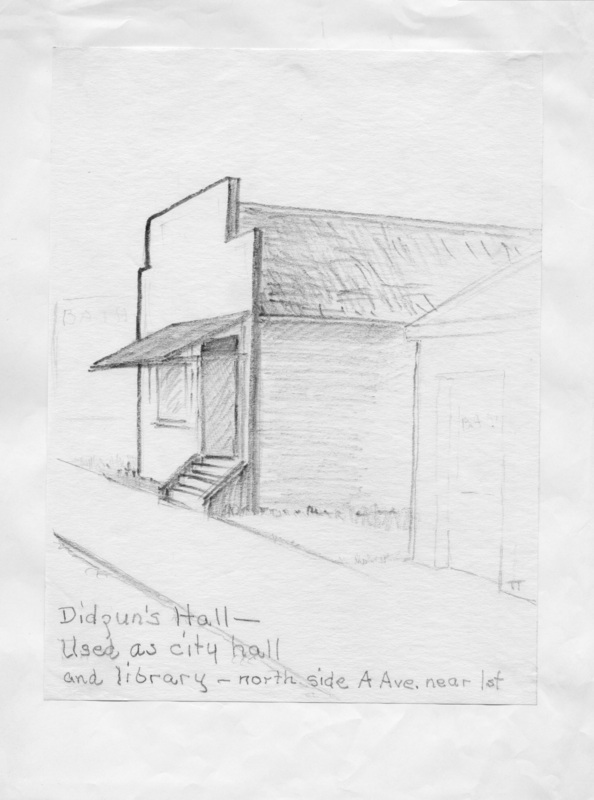 Caption on front: "Didzun's Hall-Used as city hall and library-north side A Ave. near 1st." Physical Description H 8.5" X L 6.25"